If you’re 13 and older, simply fill out the short form, or use your Facebook account to get started. You will immediately be asked to answer basic demographic questions and provide some general likes and dislikes. You will then be sent right to your dashboard where you can start taking surveys. Survey Club means what they say by focusing on surveys, and market and health related research only. You’ll receive at least one survey daily from Survey Club. It can range anywhere from a quick $1 opinion poll to a $10 hour long survey. There’s almost always something to do with this program so check your email often. Perhaps the most prolific broker of focus groups, making up to $250 per project is not unheard of. Payout ranges vary of course, but most focus groups you participate in will take some time and commitment. If you have certain conditions like diabetes, asthma, or more serious ailments, you may qualify for clinical studies that include compensation up to $1000 and free care. Qualifying for these studies can be difficult and depend upon your location, but the benefits can be quite substantial. Survey club is probably the single best source for high-paying focus groups out there. You will be invited to these based on your profile information. It’s not uncommon for participants to make $40-$60 for providing detailed opinions on everything from the newest soda to how stringy you like the cheese on your pizza. While Survey Club focus groups represent the greatest earning potential, you can also supplement your Survey Club earnings with daily surveys on a variety of topics. Expect to earn about $0.50 to $3 per survey completion. Each survey will start with a series of questions that qualify you for the reward that is attached to that specific survey. You will also immediately see how long the survey should take you to complete. This is a welcome touch, as sometimes you may not have time to complete a lengthy survey. Survey Club does not use any points; all rewards are a cash dollar amount. As usual, the longer the survey, the more you will be paid for your time. You can request a payment from Survey Club once you have accumulated $20 in rewards. Processing times will vary based on the type of surveys you’ve completed, but in general you can expect payment within 3-4 weeks. You’ll have the option to redeem your cash rewards via PayPal, Amazon Gift Card or check. Survey Club has an established record of helping their users with any issues they encounter. The customer service is considered to be excellent. There really not much to dislike about Survey Club, but they can get a bit overzealous when it comes to sending you email. Expect at least two daily. At times, the emails may not be directly for surveys but ads for partner sites to provide surveys. These emails are completely legit, but some users may find the amount and content a bit distracting. One unique aspect of Survey Club is the extensive list of clinical trials that are available. You will find it easy to search by location, type of study, your demographic and more. Once you have found a study that looks like a good fit, you will be asked some more detailed questions and sent more specific information on the study. You won’t finish one of these in only a day, but some will pay you up to $1,000. Few programs offer the array of focus groups, clinical trials, and surveys as Survey Club. Likewise, few can offer such great earning potential. This program is a must join for anybody looking for a successful multi-program approach to paid surveys. If you’re willing to devote some time and effort to these focus groups, you will certainly be well-compensated for your time. Learn more about Survey Club with this video overview. Here’s a summary from the official Survey Club website. Anyone 13 years or older can earn cash, free products, points, gift cards, and prizes for simply participating in online surveys. Based on the information you provide to SurveyClub, you will have the opportunity to join some of the largest survey companies in the world. And, after you join, we will continue to send the newest and best online surveys direct to your inbox! Is Survey Club a scam? 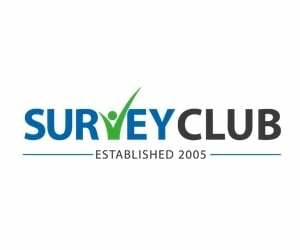 Established in 2005, Survey Club is one of the very first and most well-respected survey sites online. They provide their own surveys as well as serving as an excellent hub to find vetted third-party offers. With overwhelming popularity at over 16 million members worldwide, and over a decade-long record of conistent payment, Survey Club is absolutely on the level and by no means is a scam. I am extremely FRUSTRATED with “SurveyClub” and am here to write a review on behalf of my experience. They retrieved my information from the Florida DBPR (a professional licensing agency) asking if I could take a 15-minute survey about Business Financing for a $20 Amazon Gift Card. I had to take the full time duration of 15-minutes in completing the survey and at the end of the survey, they DENIED my dedicated participation saying I didn’t qualify. There was never actually an opportunity to “Qualify” and they know that in their heart of hearts. PLEASE BE ADVISED that this company is sending out FALSE ADVERTISING EMAILS!! They should be ashamed of their business structure starting from the top as they are ultimately the people in charge of how a company represents themselves and their actions. I am disappointed that they not only took advantage of me, but so many others out there (READ REVIEWS ONLINE ABOUT THEM) who are genuinely nice people willing to dedicate their time to help a company. Although I have not logged in too many times, I find the Survey Club to be easy to understand and it’s fun! I get some good surveys and then there are a lot that I don’t qualify for. I just registered a couple of days ago, but have already received cash deposits for several different surveys I have taken. This is faster than I normally reach a balance in my account. I’ve only just begun, but I am very pleased with the opportunities available. They are very informative and give great information on survey insights and how to succeed. It’s ok i. Think I expected more. I was a little disappointed. Survey Club is Awesome!!! You gotta be quick because the surveys fill up quickly. I’m enjoying doing surveys with Survey Club. They give you a lot of different surveys and They give you different options to choose from the programs to earn points for rewards. I’m a new member of this website. Thank You!! I just love this survey site. I have been with it since 5 years now. You get many relevant surveys according to your profile and if you qualify many In Home Use Test Products. Quick n Easy to redeem your rewards too. This is great fun. Would like to have more. I have been doing surveys for this company for at least 5 years. I like is company, but you have to do a lot of surveys in order get things with your points. They do send you a lot of surveys, but some you do not qualify for. The Survey Club is fun to do! I get a lot of offers but never qualify for the case studies or most of the surveys & have never been offered a product trial. Also, the rewards for the surveys I do qualify for have never been very much although this site is advertised to pay up to $3 per survey. Please write a brief, honest review based on your personal experience with Survey Club. All reviews will be moderated.